I never knew the history of this cool old place! Great images too, I hadn’t seen most of them~ thanks for sharing! An incredible tribute to a well known ignored piece of Orlando’s history. Great job! I am Paula Moon Reid, the youngest grandchild of J.D. Moon, who, with the help of my dad and uncle, built the Carolina Moon Tourist Court on South Orange Blossom Trail. There was, indeed, a white sand Bathing Beach with a Bath House, a Roller Rink, and a Dance Hall (complete with a mirrored ball! ), as well as a Service Station/Grocery all on the premises. 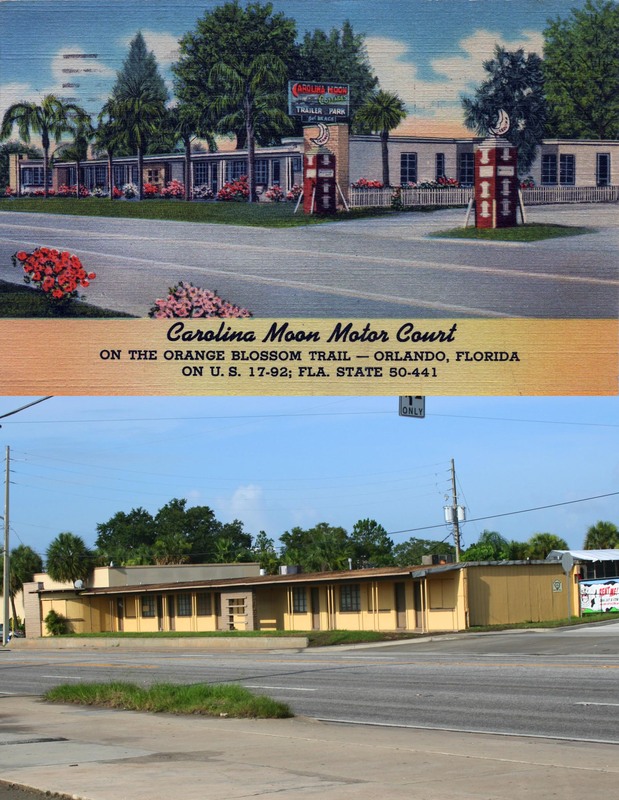 The completion and opening of the Carolina Moon “complex” was timed to coincide with that of Highway 441, which opened up travel from Orlando to Miami. Originally from North Carolina, after the death of my grandmother, Cara Moon, my Winter-hating grandfather began wintering in Florida. The name, Carolina Moon, I think, was a tribute to her memory and to that of his native state. Thank you Paula for the great history lesson on Carolina Moon. It sounds like a very fun place. I’m doing historical research in the vicinity, and am interested to know if you remember some of the other amenities there in the late 1960s and 1970 ? From the pictures posted it appears there was a small residence there, grocery, great beach, and other things to do. Do you recall if there was a drycleaner as well ? If so, was it a drop-off facility or did they do drycleaning on premises. I’m doing more research at the Historical Museum soon, as I need an appointment with them. Thank you kindly for your comments ! My knowledge comes from things my family told me, pertaining to the earliest years of the Caroline na Moon. I believe my grandfather held it for ten years. The dry cleaner currently occupies the building that began as a service station/grocery, with living quarters above. 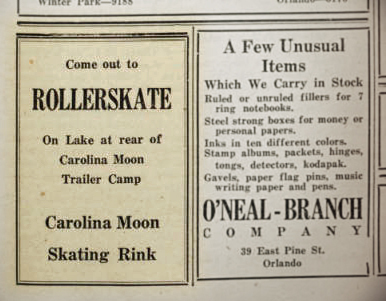 It was built and opened at the same time as the Carolina Moon. My father, Harry Moon, told me that on his sixth birthday, his aunt, Kathryn Page, presented him with fifty silver dollars. My grandfather invested them, and the with proceeds, Harry stocked the grocery. As far as the later history, sadly, I know very little. I The place took on a somewhat different character, but I was always happy that it was still there, and that it appeared to retain a kind of eccentric and quirky charm. Best of luck in your endeavors! 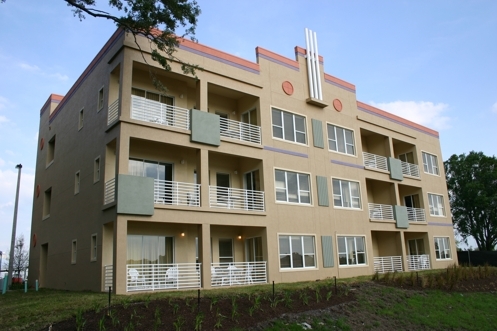 Orlando has a rich and colorful history that deserves to be preserved. I wish you much success, and would be very interested to read any results that you might publish. Thank you kindly Paula. What courageous and inventive people, your family. Hi Paula. Do you know if the Rose DeLuxe Cleaners at the Carolina Moon was a drop-off location for them, or if they did actual drycleaning there ?? I’m asking as the Rose DeLuxe Cleaners had several locations in Orlando at the time. Thanks again. Best regards. Thats astounding! I visited the PH for years and never knew the story behind this old piece of property. I remember the old trailer park. And thought who would live there! To find out the thing is freaking nearly a century old is crazy! 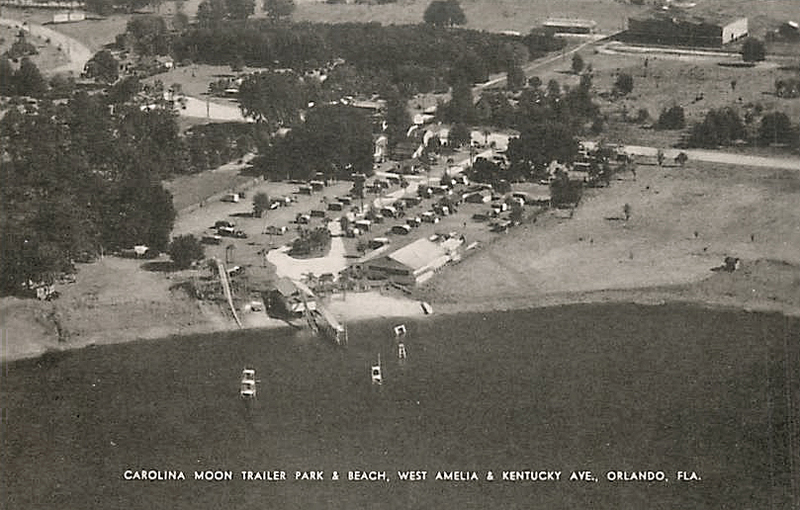 When the Carolina Moon first opened, it was the embodiment of a forward-thinking concept in what was then a picturesque location. Hard to visualize that now, of course, as the place has long been overrun by the “progress” its opening helped generate. But in its day….